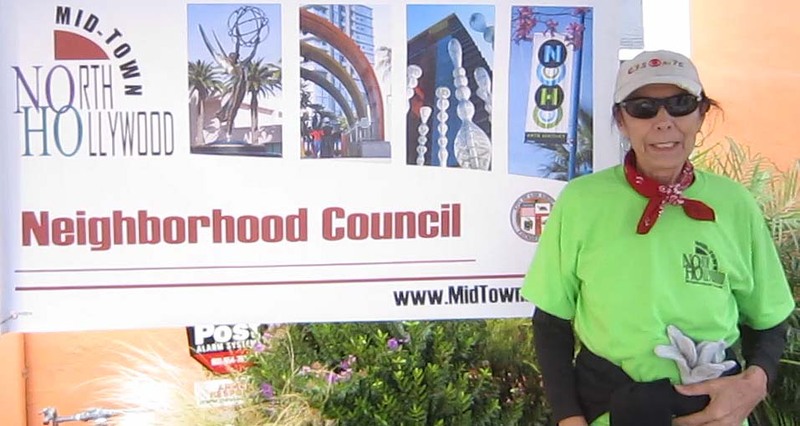 When Mary Garcia was a sophomore at Los Angeles Valley College, she would have been surprised to learn that she would someday be the President of the Midtown North Hollywood Neighborhood Council. 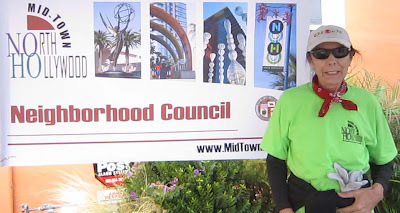 Mary grew up in North Hollywood and cares to this day about her town's quality and well being. Here she volunteers for a work day on behalf of the Council's Community Beautification Committee.